I thought this would be an interesting topic. Here are several favorites of mine that I wish had made their way home on today's era of consoles that are capable of perfectly replicating most any arcade release from past years. What would you select to bring home? 19XX; The only arcade entry in Capcom's 194X series not to have a home conversion. 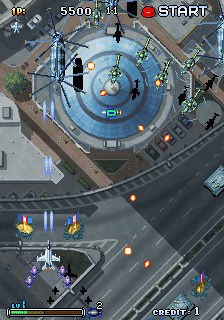 Viper Phase 1; An arcade game from the Raiden developers with similar gameplay. Turbo Outrun & Outrunners; Two excellent arcade entries from the classic Sega series that have never been done justice at home. Berzerk & Frenzy; Two classics from the Golden Age by Stern. 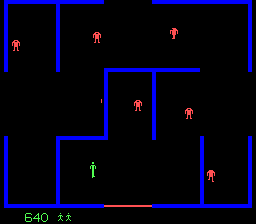 Berzerk is likely the most popular arcade release from the late 70's and early 80's to not have a modern home conversion. Screenshots don't do these two justice. They must be played and heard to be appreciated. Strikers 1945 Part III; The only one of the four games in this series with no home conversion and the most modern of the bunch. 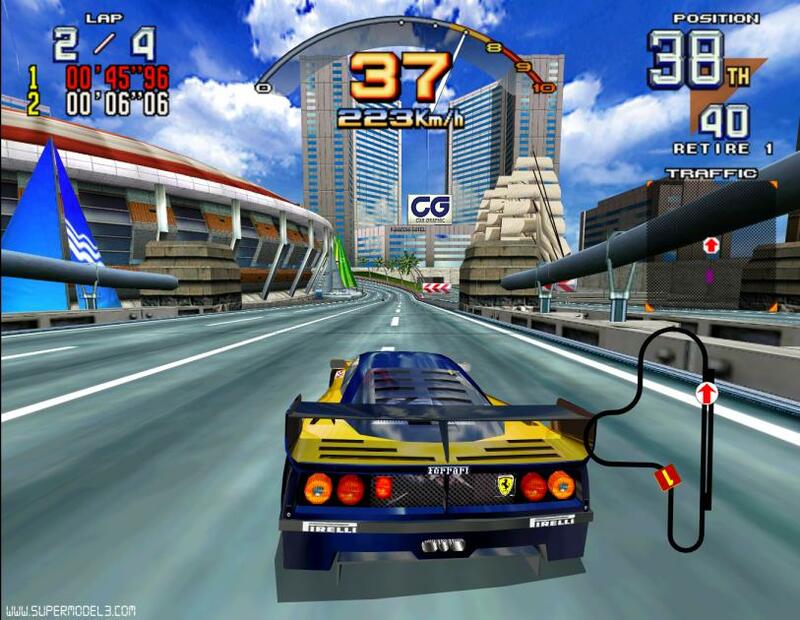 Turbo; The one major unlicensed Sega arcade game from the Golden Age that hasn't been seen from the Sega Saturn onwards as Sega slowly released their library from this time. Domino Man; Bally Midway and from the team that created Tapper & Timber. Screenshot doesn't do it justice. I suspect that this one never snuck into a compilation because domino is copyrighted. Solar Fox; The Atari 2600 home conversion was my first videogame. Always wanted to have this one brought to a modern console even though the 2600 game actually is the better of the two in my eyes. 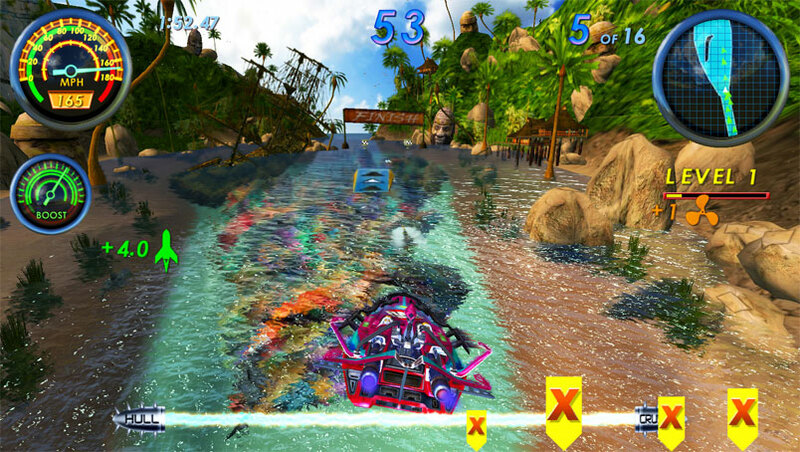 H2Overdrive; A modern spiritual sequel to Hydro Thunder. 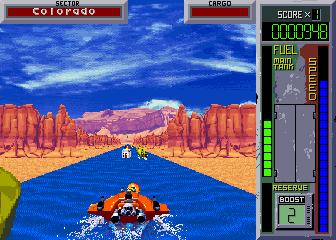 Hydra; Essentially a speedboat take on Roadblasters. Honorable mention to Nintendo's early 80's arcade catalog that remains absent to this day except in the form of NES ports and such. And I thought about including Indy Heat from the Super Off-Road guys but a modern analog stick is no replacement for the arcade's free spinning wheel. Is that a fighter or a beat 'em up game? Not much of a fighting game fan but I enjoy a good game in the other genre. KLOV classifies it as a fighting game but then mentions how it's similar to Final Fight which would be classified as a scrolling fighter (Beat 'em up for most people) under their terminology. It wouldn't quite make the cut for my list since I'm just a casual fan of the genre and not particularly passionate about it, but I'd still love to see Golden Axe: Revenge of Dead Adder make it home. It's at or close to the top of many people's list for this topic question and very well was the last great 2D arcade game from Sega which is reason enough. With a good number of games in this genre being brought home in arcade form for the first time just in this current generation of consoles, this is one of the last big ones that remains arcade exclusive. I'd like to play that and Aliens vs. 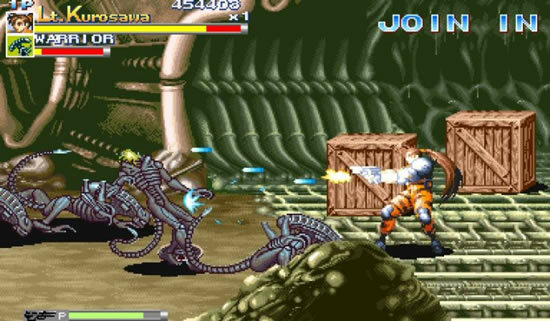 Predators from Capcom on a console. With Capcom's recent release of their two mid 90's beat 'em ups with the Dungeons & Dragons licensing, maybe there's a chance. 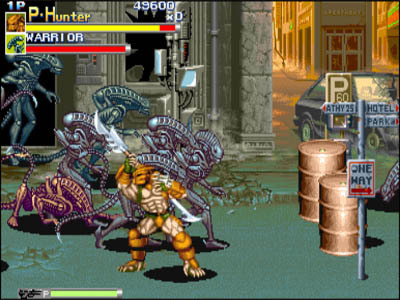 AvP is a beat'em up. I'm definitely in agreement on H2Overdrive. Nothing else really comes to mind for me, though. I'd like to see the Star Wars arcade game. It made it to early game systems, but nowhere near as good as the arcade. Then again, maybe it was the arcade controls that made it so great? That one has been rereleased actually. Star Wars Rogue Squadron III: Rebel Strike for the GameCube includes Atari's three classic Star Wars arcade games from the early to mid 1980's including the vector original that you're talking about. I was going to ask if he had meant the Atari or Sega SW arcade games, but I guess "early game systems" would not include things from the 90s. I guess I'd like a home version of DariusBurst Another Chronicle EX, except a) that game is itself an expansion of a PSP game already, so it doesn't entirely count, and b) how would you faithfully port a game that used twin side-by-side widescreen monitors? The experience wouldn't be the same, like the home ports of the original Darius (which was 3 side-by-side 4:3 monitors in the arcade). The black bar haters would hate it, but so many people have large HDTV's these days that at least a faithful port of those would practical since even a heavily letterboxed picture would still probably rival the arcade setup in screen size on things like 60" HDTV's. I never knew that about Darius until your post. 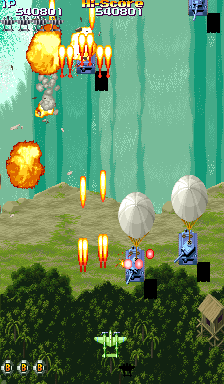 Have you ever played the arcade release? The mirror setup it used to align each of the screens sounds neat. That's one of the big issues with triple screen PC setups as far as I'm concerned and it sounds like this eliminates that and merged each screen together. The monitor casings really don't help the illusion you're after with 3 screen PC setups for gaming. I never knew that about Darius until your post. 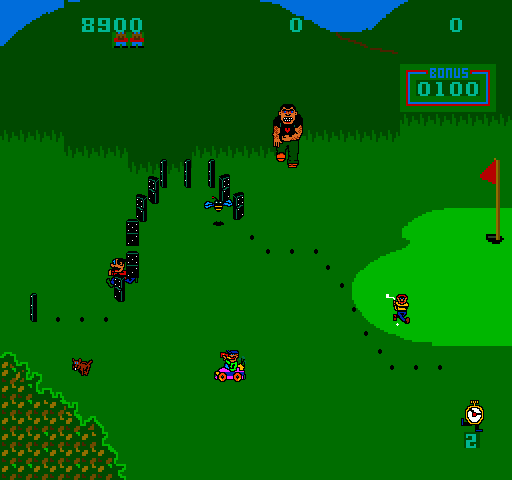 Have you ever played the arcade release? No, never seen it first-hand, either. It's a large and heavy cabinet, though. That was clearly a game created for a big sensory impact. In terms of gameplay, though, the original Darius is pretty straightforward, if also difficult. CarnEvil! CarnEvil! CarnEvil! CarnEvil! CarnEvil! Best rail gun shooting game ever. "Berzerk is likely the most popular arcade release from the late 70's and early 80's to not have a modern home conversion." I forgot all about Gorf from Bally Midway. 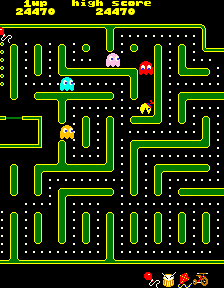 A game that is apparently un-releasable these days due to including a Space Invaders (Taito) level and a Galaxian level (Namco) with those licensing fees makes it financially prohibitive. So I guess make Berzerk the second most popular arcade game from the late 70's and early 80's to still be absent. 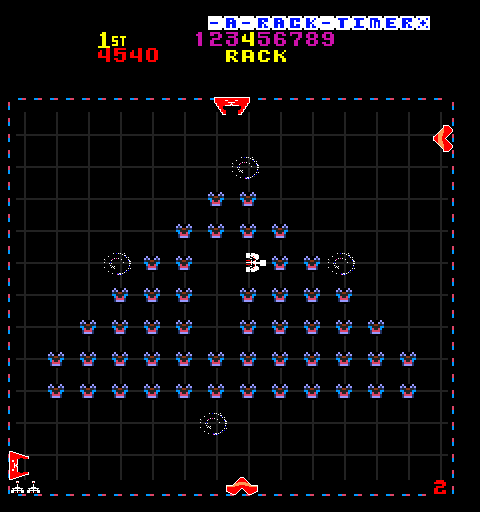 I think only the Galaxian stage is problematic, and probably only because of the name, it's not that close to Galaxian. They could probably hack the name out. I imagine that you're right (Although an overly paranoid legal department might not agree with us). But whatever the reason, there's definitely something there though since it was a popular game and ran on hardware that they've emulated for at least one other game (Wizard of Wor). Hopefully someday it's brought home in arcade perfect form or at least ported by a sane hobbyist programmer on a classic system. It made it to the Atari Jaguar but few own that console, even fewer own the CD attachment that was required, and the programmer was in competition for the top spot on the AtariAge top 10 idiot list before finally being banned and copies of it are very rare and expensive. I suppose that Nintendo's big three probably should be counted among some big absences. Donkey Kong (Recreated in nearly perform form as part of Donkey Kong 64 three console generations ago), Donkey Kong Junior, and Mario Brothers should be counted for major arcade games from around 1978-1984 that are still absent in their original form. It would never happen, but I'd love to see Crazy Kong. I always liked it more than the original Donkey Kong. Crazy Climber has had home releases. Mostly only in Japan, though. I have it on Nichibutsu Arcade Classics. I never knew about the Oretachi Geasen Zoku Sono lineup. I'm assuming since I always was looking for compilations that these slipped by me since apparently each is a standalone release. Looks like several are worth checking out. Just when I thought I had the PS2 pretty well covered for classic gaming releases. I see at least four of interest there that I don't own elsewhere (And several others I wouldn't mind getting like Time Pilot for TATE mode if I ever set something up for such games). Never heard of this series, but that is a really strange transliteration of the Japanese title. First of all, "Geasen" is not standard romaji for what it is, which is properly transliterated as "Geesen" or "Geisen" (sounds like "gay sen"). And, neither rendering is a useful translation for what the word actually is: it's a Japanese-style abbreviation of the English words "game center" (the Japanese term for what we call an arcade). Furthermore, where is that "Sono" at the end even coming from? It's not in the Japanese title of the series! Best guess, it's "sono" as in "sono [number]," meaning "volume [number]" . . . except the actual game releases in the series are not numbered anyway. Nowhere on the cases is there a volume number, much less a "sono." How did that word end up in what I assume is the accepted English translation of the series' name? What would you translate it to in English? I keep a database of my games and I'd just as assume list the four I'm planning to pick up with full English translations. And I've meant to look it up before and I'm sure the answer would be easy to locate, but I've never been sure which order to put my Taito Memories games for the PS2. There were two pairs of releases and each title ends in Gekan or Joukan. 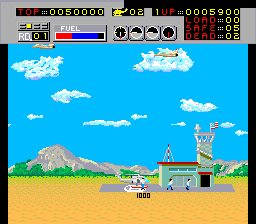 I don't think it would make my most wanted list, but Sega Choplifter is another arcade game I'd love to see. What would you translate it to in English? It seems it's usually translated as "Our Game Center Family" (curiously leaving out the "Sono" that got stuck into the transliteration), and that's a decent translation. Technically, there is no possessive particle in the Japanese title, so "We the Game Center Family" would work. Also, "Zoku" doesn't literally mean "family" as in mother-father-kids, but more like "tribe" and "clan." So, if you feel like totally trashing the existing translation, "We the Arcade Clan." :) Oh, and very informal Japanese can leave out the "to be" verb, so you could assume it's being implied here and stick it into the translation if you want: "We're the Arcade Clan." There were two pairs of releases and each title ends in Gekan or Joukan. In 2-volume sets, "up" (Joukan) means the first volume, and "down" (Gekan) means the second one. Sort of like "former" and "latter." The online dictionary I usually use says "first volume" and "last volume" for these words, but I've personally never seen the terms used for anything other than 2-volume sets. When there are more volumes, different terminology is used, as far as I've seen (usually, "Vol. 1" is numbered like in English, and the last volume is what you might translate as "Final Volume"). "What I've seen" = anime on DVD/BD, FYI. In terms of ordering your PS2 games, the kanji pointing upwards comes before the one pointing downwards. I agree with Freelance. Haven't heard of that title in quite some time. Someone should copy the wonderful idea of Capcom, just done better: sell old arcade games in packs. Capcom priced themselves out of success, I'm afraid. Still hoping they toss it out on a retail disc someday though, ideally with some other XBLA/PSN exclusives that didn't make it to retail. 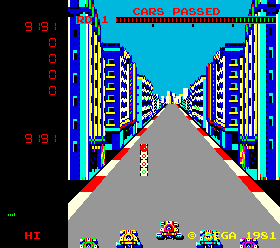 Here's one that I'd love to see be released at home (In arcade perfect form). Surprised it slipped by me the first time around. That was based on a film, wasn't it? Hopefully they get it out there again, someday. What's the point? The movie was a farce, none of it mattered, everyone got killed off screen. Except Willow & the baby, but still, real downer. NOW I remember what game Willow was. I kinda liked it, but I didn't know it was inspired by a movie, and a depressing one, too.